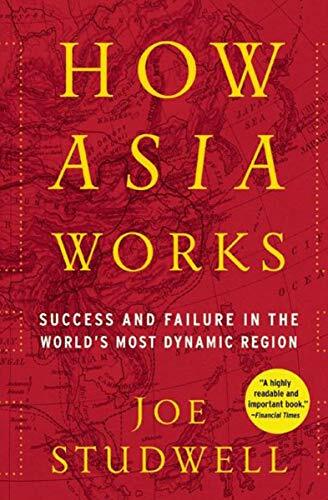 “How Asia Works” is a detailed look at the economic history of South Korea, Taiwan, the Philippines and Malaysia. Two are economic standouts and two have yet to meaningfully reach any kind of economic escape velocity. The topics of agricultural reform and development, manufacturing and the liberalization of financial markets each get a detailed chapter while China’s success is explored last. Studwell has created an excellently researched book and he delivers a level of detail without chapters feeling bogged down. For the topic (econ history is usually impossibly dry), the book reads well. That said, the excessive length of the individual chapters makes the book a bit of a slog to get through. Despite the quality of the writing, 400 pages still reads like 800. What I found surprising about the history of the successes and failures was the role of government policymaking in shaping these economies. Enforced land reform, protectionism, a government-led focus on exports, technology mastery, and slow deregulation of respective financial markets are the characteristics of the winners. Studwell links these policies to similar developing economies, including the United States’ early development, which influenced the economies of Germany and Meiji Japan. Studwell makes an excellent case that no significant economy has developed from free trade and deregulation from the outset. Proactive interventions, starting with agriculture and then in manufacturing, drive accumulation of capital and technological mastery. There doesn’t appear to be a way for countries to bypass these essential steps. In short, I highly recommend this book if you’re interested in the history of economic development and how those lessons translate to today.